Donald Trump’s stunning presidential upset has led to another unexpected outcome: a stock-market rally. 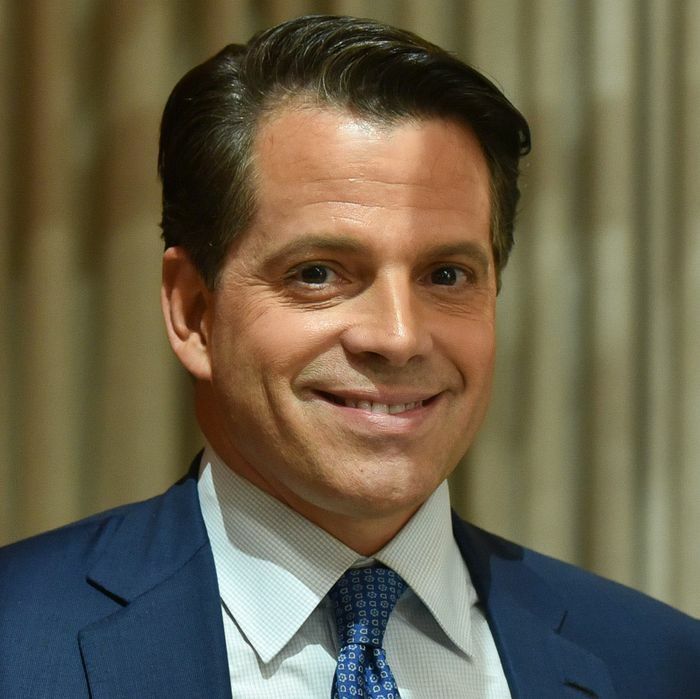 Anthony Scaramucci, the founder and co-managing partner of hedge fund SkyBridge Capital and a member of Trump’s economic advisory council, talked to New York the day after the election about what to expect from Trump on the economic front — and why it’s good for America. But there won’t be any trade wars, and probably no effort to “lock her up,” as Trump promised he would to do to Hillary Clinton once in office. Apparently, that was just politicking. Congratulations — your man won against long odds. Thank you. It’s not me. I think it’s the right path for the country. I took a lot of flak from the media and from some of my fellow members from the Wall Street community, a lot of snide commentary. It makes me laugh. It’s fine. You have to be a big boy about this stuff. You certainly made a good trade here, by backing Donald Trump when many of your friends in the Republican Party wouldn’t do so. And you’ve been fiercely loyal to him, even in the face of his attacks on a Hispanic judge, a Gold Star family, and revelations about his sexually predatory behavior toward women. Trump is basically telling us to forget all that and come together for the good of the country. So, can it happen? What the media is getting wrong about Mr. Trump is he’s not a classically trained politician where he grew up in the political system for 35 years and has refined his language with that precise verbal dexterity. What’s refreshing about him is he’s sort of exactly the way he’s presenting himself, with a level of authenticity and rawness that is in some ways more refreshing to people than bland, staged teleprompter nonsense. I could take you through the Gold Star family, the hot-mic episode with Billy Bush … But the central thesis is the reason people are forgiving is that they recognize he’s a flawed person prone to some rhetorical flourishes, but he’s a can-do, fix-it-oriented business executive and now political leader. The American people want these problems fixed. They want an entrepreneur who thinks differently. I just want to point out that most of the American people did vote for Hillary Clinton. And it seems to me that his speech was very politically calculated to stir up these passions. Let’s talk about the markets. Obviously, they were totally spooked by Trump’s surprise victory and originally fell almost 800 points, only to rally today. What did Donald Trump say to turn this around? Lastly, the markets have learned from the June Brexit vote. Brexit was shocking; the market fell 4 to 5 percent, then people took a pause and realized it’s not going to be that bad for the global economy and not that bad for Britain. So the market rebounded. What you got in 12 hours overnight was three weeks’ worth of Brexit. The market is very adaptive. The market said, This is not going to be that big of a deal; we’re going to be okay. He’s talking about fiscal stimulus, about creating jobs with his plans for building infrastructure. Is this real? Republicans have fought this for years. What makes you think it’s going to happen? One thing about him, I would take him at his word when he says things. I’m not talking about the rhetorical flourishes or the problems he has had. He’s admitted he said some things he regretted. But if he says he’s going to build a wall and make the Mexicans pay for it … my guess is he’s going to build the wall and the Mexicans are going to pay for it. I think that’s going to happen. How can he do that? How can he make the Mexicans pay for it? There’s a tremendous amount of goods and services flowing across that border, and you could charge every truck an excise tax when it goes across the border. My prediction is that Mr. Trump will work very closely with President Nieto of Mexico and create a level of harmony the journalists will be writing about in 24 months and don’t now think is possible. My guess is they’re going to have a phenomenal relationship. Trump is very practical. He knows he needs to have great relationships with people on our borders. There is a drug and cartel problem, and there is a drug-trafficking problem. Building that wall will reduce that and will reduce a lot of problems we have. I would take him at his word. What about rebuilding bridges, highways, and the airports? We’re very creative people. He’s got an economics team loaded with entrepreneurs and high-intensity execution-oriented dreamers. One thing about him: His grandchildren tease him. Ivanka said they were driving by a pothole, and his granddaughter turned to her and said, “If Grandpa were here, he’d be so upset, he would want to get it filled immediately.” We were all laughing about that. He doesn’t like how our bridges, roads, and airports reflect on our society. Obviously, if we have a huge public infrastructure program and cut taxes, we have to pay for it somehow. Doesn’t that mean the debt will rise? Yields on Treasury bonds have surged to their highest levels in months today. Is the Republican Congress going to go along? They have not in the past wanted to go along with those proposals. I can’t speak for the Republican Congress. We have to take Trump at his word that he’s going to make these sorts of proposals. Now, how would they manifest themselves? Could this be a long-term government bond? Could it be a 50- or 100-year bond? Not saying that definitively. Could there be a private-public infrastructure bank put together? Could there be some kind of tax incentive for people to help us build this structure? I don’t know. I’m not going to say I know the answers. If you look at the Wollman Rink, people said [they] couldn’t get it done, never going to happen. The Throgs Neck Bridge, Whitestone Bridge. Couldn’t get done, never get done. He got it done. He loves these sorts of projects. It’s hard to believe he’s not going to push that. Whether Republicans will accept that, I don’t know. What about the inflationary impact of all this fiscal stimulus? We’re really like Jekyll and Hyde with inflation. We go back and forth depending on our political view, whether we want inflation or not. If I buy a house, that’s technically a piece of infrastructure for me and my family. I use my income to pay down that house so I can own that house free and clear — that’s one kind of borrowing. The other kind of borrowing is, I take my credit card and spend lavishly on consumption-based items that are ephemeral and don’t give lasting capital investment. If it’s going to cost $3 trillion — that’s the cost of the Afghan and Iraq wars — you could float a 50-year bond at 1.5 percent and all that positive externality would go back into the country. It will be taxed and added to tax revenues and have a multiplier effect. Look at the Big Dig in Boston. It cost four times more than anticipated. It created about $120 billion in positive externalities for the city and state, because it created five new suburban hubs around Boston. I thought the left had a few matches. I didn’t realize they had flamethrowers in their hands. The great irony is that his proposals are less ideological and more commonsensical. Trump made some statements about negotiating the government debt. Because he has been involved in so many corporate bankruptcies, people have feared that if our debt soars under him, he might try to renegotiate the debt. Have you gotten any reassurances on that front that that’s not what he’s going to do? Yes. He’s not defaulting on the debt. He’s made that very clear. I think, again, what’s happening to Mr. Trump is you’re seeing an evolution of his verbal dexterity. He was trying to contrast himself as a freethinking business leader as opposed to a buttoned-down politician. There is no risk of us defaulting on the debt. He’s also planning to cut taxes. Isn’t that just trickle-down economics, which we know doesn’t work? Our goal over the next eight years is to increase the tax base. If you look at and analyze where the wage-growth opportunities could come from, and where the best jobs are that are in the middle class or build an aspirational working class, they’re going to come from small business. The way our tax structures are set up, the corporate and personal taxes are tightly wound with each other. If you lower those taxes and make us more competitive with the rest of the world, you will create incentives for people to stop leaving the United States. You’ll stop corporations from doing tax inversions. I don’t know any company in the U.S. that can grow their earnings next year at 30 percent. Yet if we’re successful in implementing this tax cut, that 30 percent is right there. That number sluiced through the income statement, you’ll get 30 percent growth on companies large and small. That capital will be reinvested back into the company and will have a dramatic multiplier effect. He’s trying to create a business environment where companies can keep more cash and hopefully hire more people. I don’t see it as trickle-down. It’s not trickle-up, not trickle-down. It’s like something in the middle. It’s like medium-rare taxation. Like momma-bear taxation. What about the Fed? His attacks on Janet Yellen seemed to be an indication that he’s going to be activist on this front. What kind of a Fed chairperson will he hire? Are any names being thrown around? I can only give you my personal opinion, not coming from the administration. I think if he got to know Janet Yellen he would appreciate how skilled she is. I think he would have a different opinion on her. The same way after meeting with so many people on the immigration issue he had to open his eyes to that issue. I don’t see him firing the Fed chairman. I do see him as a guy who will want someone who wants a healthy economy. You have to have real interest rates at a certain level. One of the big problems right now is that real interest rates are zero. That’s not great because people aren’t spending or investing money. They are hoarding cash. You need to set up a dynamic in the economy so people know it’s open for business. We’re going to have regulation, but it will be healthy. We’re not going to overregulate the economy. Under Obama, they super-tightened financial regulations because they do not want another financial crisis; they want to keep everybody safe. Those good intentions are making it safer but slowing down the growth. If you have Dodd-Frank legislation, that’s going to prevent the next financial crisis — but on the other hand it has crippled the local community banks that can’t make small-business loans. If Dodd-Frank is changed, will we see prop trading at the big banks again? I don’t think so. One of the platforms in the Republican platform is the reinstitution of Glass-Steagall. I’m not saying that’s going to happen, but it’s going to be open to discussion. Sandy Weill, the former CEO of Citigroup and the biggest proponent of demolishing Glass-Steagall, said that was a mistake. Let’s go on to his trade issues. We’ve seen all these protectionist policies unleashed in the world. We’ve seen the Brexit vote, we’ve got the upcoming French elections. People have been afraid there’s going to be a Smoot–Hawley type of trade war that’s going to throw the world into a global recession. I think that’s one of the biggest fears. He absolutely doesn’t want to do that. I see that as a very low risk of happening. You have to spend time educating people on these trade deals since the Second World War. The State Department in coordination with the Treasury unevened the trade deals around the world. They disadvantaged the U.S. around the world. And they did it for a good reason. The U.S. looked at it as a Marshall Plan to save those people from communism and also to create a market for our goods and our services. They needed to help rebuild those countries that were vanquished. They knew the strongest economy in the world could withstand it and would protect labor markets in the rest of the world. It would create burgeoning middle classes in the rest of the world, create more economic interdependence with U.S., which would lead to less violence. All Mr. Trump is saying is our goods and services are embargoed in these nations, but the goods and services are being allowed to flow freely into the U.S. Since NAFTA was signed, the U.S. lost 70,000 factories and is running a trade deficit with Mexico. It was designed to help the Mexico middle class but has devastated our middle class. All he’s saying about TPP, the addition of China into the WTO, or what’s going on with NAFTA is that they have to be made right-sized, made fair. All Mr. Trump is calling for is free trade with symmetrical fairness. By the way, I’ll tell you somebody who loves that. There’s a gentleman by the name of Bernie Sanders — he understands that. He’s a smart guy. The health-care sector in the stock market is soaring. Is that because he is getting rid of Obamacare? I don’t think that’s the reason. It’s because Secretary Clinton was tweeting about price caps for pharma last year. I don’t think Mr. Trump wants price caps. I think he wants more market-based initiatives. You have to allow pharma companies to make more money so they can do more R&D. Are you saying that you don’t expect Obamacare to go away? No, I think they’re going to change it, to make it more market-based and allow companies to compete across state lines. It’s the only industry where costs are skyrocketing, and it has to do with the lack of market-based competition. What about allowing Medicare to negotiate with Big Pharma? That would increase competition. It’s a good question. If that’s going to lower the cost and be better for the American people, he’ll probably look at that. Let’s talk about Trump’s recklessness and erratic behavior. A lot of people have questioned some of the things he’s done, like tweeting in middle of the night. People have been worried about that. The markets have been worried about that. What makes you think it’s going to stop? Believe it or not, the guy’s a very disciplined guy. I’ve seen him take a yellow pad and write down 20 or 30 things and go systematically through them. What he has done — you can like this or not — Mr. Trump has decided that part of his brand and marketing of his persona to the people of the U.S. is “I’m not a politician. If something is bothering me, or something is upsetting me, this person or that person, I may respond to them with a tweet here or there.” However … and we’ll see if I’m going to be right about this, and you’ll know shortly. Now that he’s the president-elect of the United States of America, I think he’s going to handle himself in a way more measured way. In the last two weeks, he’s really tried to do that. His Election Night speech was a very gracious speech. He was very gracious, and he said good things about Hillary Clinton. But in debates, he said he’s going to lock her up if he becomes president. Is he still planning to do that? But you said earlier, we should take him at his word. I split that in two. You should take him at his word when he’s talking about things like economic plans, building a wall, creating an infrastructure … But because of the entertainment style of his personality, accept he’s going to be prone to some rhetorical flourishes. But if you’re talking about policy, he has a common-sense, nonideological approach to creating relationships on behalf of the U.S. He’s not looking to antagonize the Russians, not looking to antagonize people as much as looking to bolster our alliances. From what we’ve learned, Trump has shown himself to be fairly untrustworthy in his business dealings, including his charitable foundation. He’s got many lawsuits pending against him. Many working people voted for him believing he will bring back jobs — jobs that are probably gone forever. Other people are afraid, terrified. Gay people fear they’ll have to go back in the closet, Muslims fear being deported, and women are reporting open season on them on Wall Street trading floors as a result of his incendiary comments during the election, this language he’s been using. How can we trust him to be different? We’re struggling to figure out why we should trust him. I can’t comment on all the allegations and business dealings. He probably has explanations for the accusations being made against him. I’m not trying to make light of those accusations. What I hate is that we are criminalizing the political process. We are demonizing the political process with social media, with Instagram, Facebook, Twitter. What we are doing is desecrating these people to the point where it makes it almost impossible for them to govern. We’re going to get Mother Teresa running for government and they’re probably going to spend $10 million on oppo research against her. We’re going to learn things about her that we absolutely dislike. We did that to Secretary Clinton, in my opinion, unfairly, and we’re doing it to Donald Trump, in my opinion, unfairly. He’s been honorable to me, he’s extremely loyal. He’s got people who worked for him for 40 years, who would chew through wallboard for him. I’ve gotten to know many of these people. I’ve found him to be refreshing, direct, and honest. He’s a good manager. He can recruit the right people. Don’t you think the reason they like him is he will appoint a Supreme Court justice that will knock down Roe v. Wade? If that were the case, they would have come out in much stronger numbers for Romney. It’s been a very enjoyable experience for me. I see him differently from how other people see him. I’m not saying he’s perfect. But I am saying he has a plan that will produce better policies for America. I’m sorry, but I have to leave now for a dinner. Thanks for your time, Anthony.